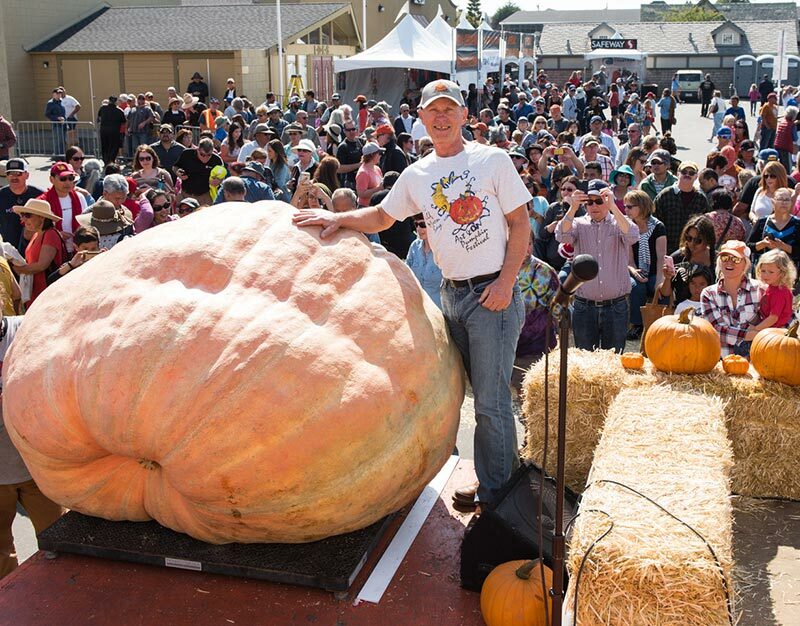 Over the years, the Half Moon Bay Art & Pumpkin Festival has grown significantly, attracting throngs of visitors who come to pick pumpkins, admire the area's natural beauty and enjoy an old-fashioned festival. The festival began in 1971 when the Main Street Beautification Committee was formed. The all-volunteer, non-profit group was founded with the goal of raising funds for the revitalization of Main Street in downtown Half Moon Bay which, at the time, was beginning to show signs of decay. Realizing the area's abundance of pumpkin patches, the committee decided to organize an old-fashioned festival in the downtown area for visitors who had come to pick Halloween pumpkins. The first year of the Festival, about 15,000 people attended the event and only one local non-profit group opted to present food. Now the event bulges with enormous crowds and dozens of local non-profit groups operating food and game booths, earning substantial portions of their annual budget from the festival weekend selling everything from pumpkin pie and ice cream to linguica sandwiches and corn dogs. "The Pumpkin Festival has done more the for this city, by far, than any other thing in the city's history," according to former City Manager Fred Mortensen. The ever-increasing proceeds are committed to to beautifying the downtown area and contributing to civic causes. In addition to the restoration and maintenance of Main Street, a wide variety of local community service organizations benefit greatly from festival proceeds. 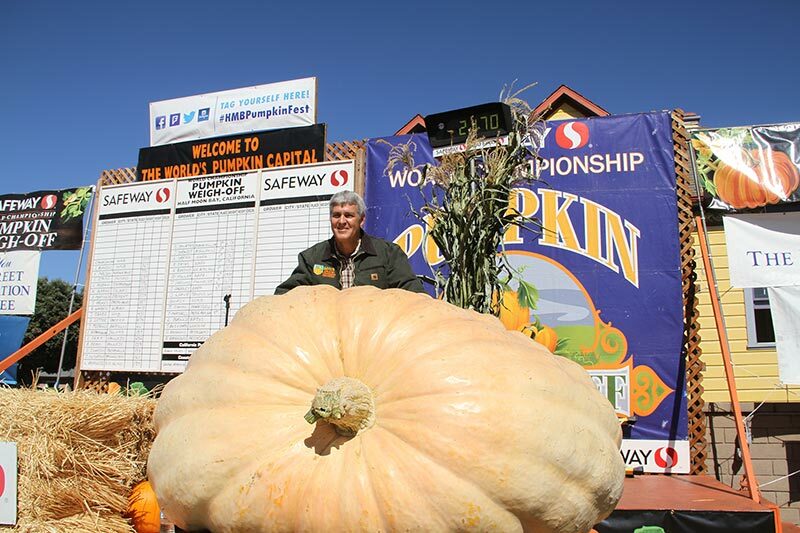 The well-known kickoff to the festival is the Safeway World Championship Pumpkin Weigh-Off which is held on Columbus Day every year. The Weigh-Off helps to demonstrate the importance of agriculture to the economy of San Mateo County. Pumpkins weighing more than 1,000 pounds are brought by proud growers and their families each year to the Weigh-Off. The Festival is traditionally held on the weekend after Columbus Day in October during prime pumpkin-picking season. The festival features rustic pumpkin patches, harvest-inspired arts and crafts, homestyle foods, blockbuster entertainment on three stages, a Haunted House, giant weigh-off champion pumpkins, world-class pumpkin carvers, children's contests, and the Great Pumpkin Parade. Admission is free. Offering something for everyone, the Half Moon Bay Art & Pumpkin Festival has become a tradition for families and friends who come each year to enjoy one of California's oldest, biggest and most popular festivals.